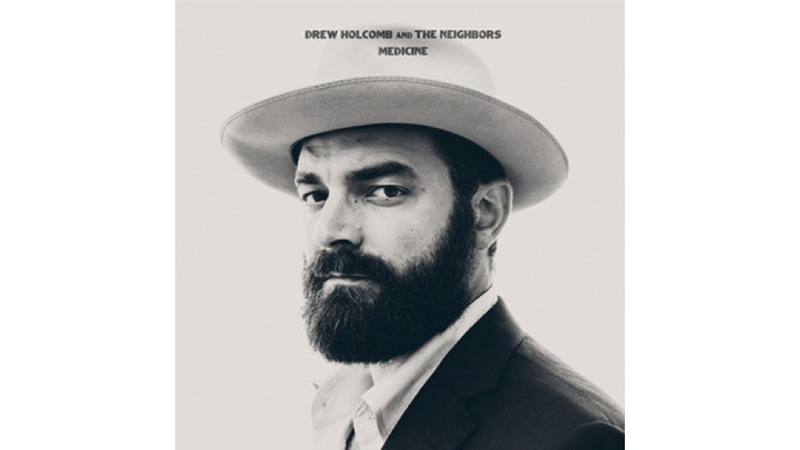 Memphis-born, Nashville-based singer, songwriter and guitarist Drew Holcomb has made a career out of relentless touring and placements in recognizable television sitcoms and commercials. A fiercely independent musician, Holcomb has released four of his most recent albums, including Medicine, on his own imprint, Magnolia Music. Here on his seventh studio album, Holcomb and his revolving collective of bandmates in The Neighbors combine those experiences of pragmatism and idealism, crafting a brand of country-tinged folk pop that balances artistic integrity with measured commerciality. Throughout Medicine, Holcomb tries to invoke the healing power of music, drawing upon personal experiences and those of others around him. Musically, he falls somewhere between the sensitive folk inclinations of Ray LaMontagne and the twang of country stars like Luke Bryan or Tim McGraw. Appropriately, Medicine ranges from uplifting and autobiographical to pensive and lonesome. “Sisters Brothers” captures Holcomb at his most rollicking and motivating, opening with a Turn Blue-era Black Keys riff—fuzzed out and repetitive—as he enunciates, “Sisters, brothers, fathers, and mothers, we’ve got to stand up for each other.” In the next song, “Last Thing We Do,” an arpeggiated piano line hoists a bloated guitar riff, while Holcomb pronounces, “We’re gonna try to make it better if it’s the last thing we do.” But when he and The Neighbors need to slow it down, a pedal steel (not unlike that in Justin Townes Earle’s most recent pair of releases) so lovingly wavers over songs like “Heartbreak” and “Ain’t Nobody Got It Easy.” After 10 years in the industry, Drew Holcomb and The Neighbors have earned the right to make the record they always wanted to—and knew they could—on their own terms.